Product information "Pallet truck scale HLS-MW 2500"
The pallet truck scale is the ideal solution for complex weighing applications at different locations. With a total capacity of 2500 kg, and a division of 500 g, a precisely weight detection is guaranteed at any height. 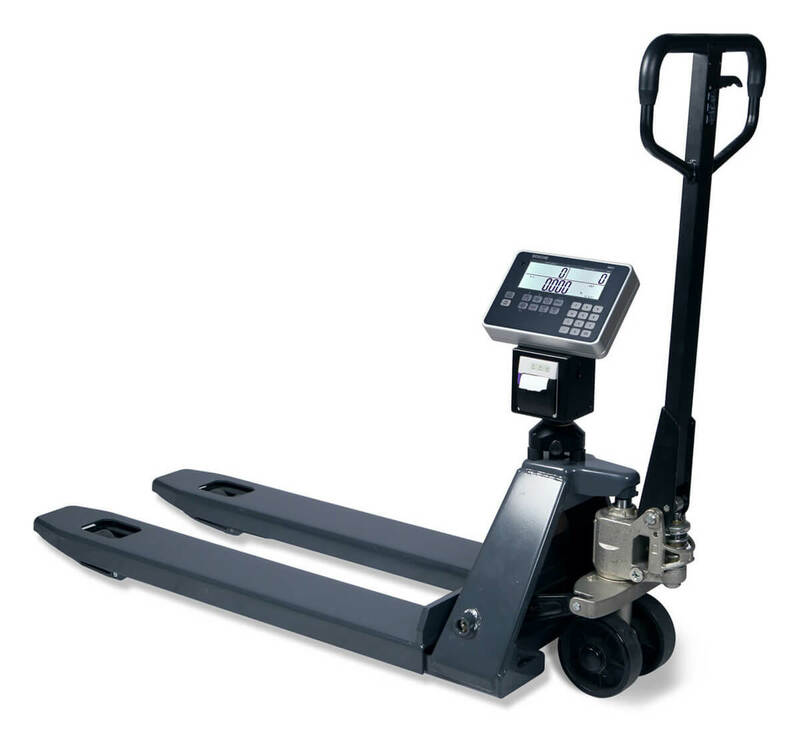 Especially in the warehouse, production and shipping the pallet truck scale is a great help as mobile weighing unit. (Control of incoming goods, determination of shipping weights, avoiding overloading). The pallet trucks with scale are simple in use and handling. It is no longer necessary to remove the pallets from the truck to weigh. Just pump up and read off the weight. Four high-quality load cells, which are installed inside the framework, ensure highest precision. These load cells are laser welded (IP68). The MWI display is enclosed in a sturdy aluminium housing and features 22 numeric and function keys. The large 60 mm Display is even from distance well readable. The scales electronics are protected against dust and water ingress (IP67). Grat Emphasis was placed on the chassis for the pallet trucks. For extra sturdiness and stability is the powder-coated steel frame reinforced and impact-proof. The frame features a built-in campact hydraulic unit encased in an impact-proof steel housing. BOSCHE pallet trucks come standard with tandem load castors for easy crossing of thresholds and obstacles. The 210° steering ensures easy maneuvering. The pallet scale has a fast lift function which can be controlled by the tiller handle. The high-quality display MWI with a 60 mm large, backlit display provides optimal readability of the weight, even in low light conditions. The balance will be sent fully assembled and adjusted. 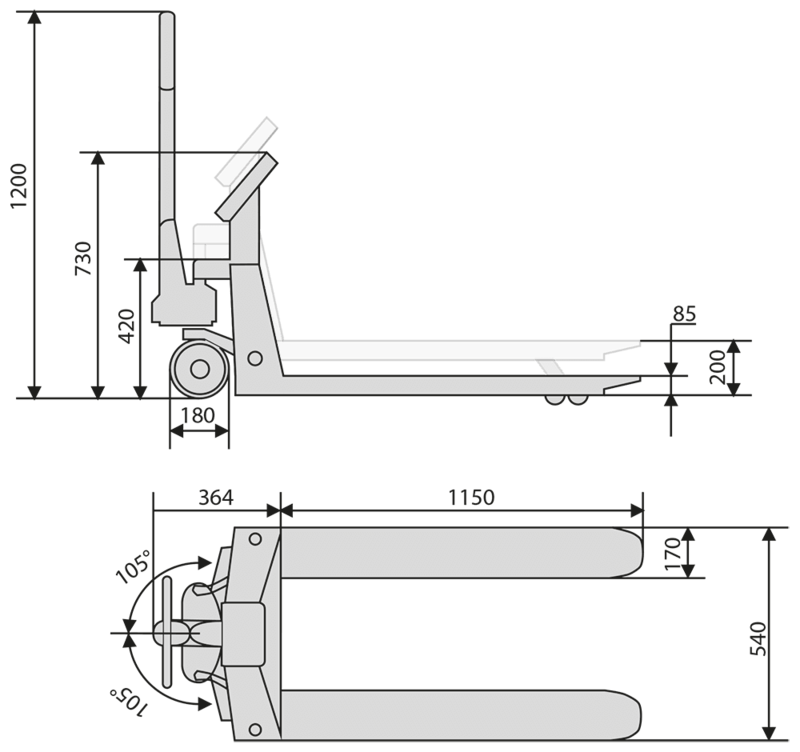 Related links to "Pallet truck scale HLS-MW 2500"